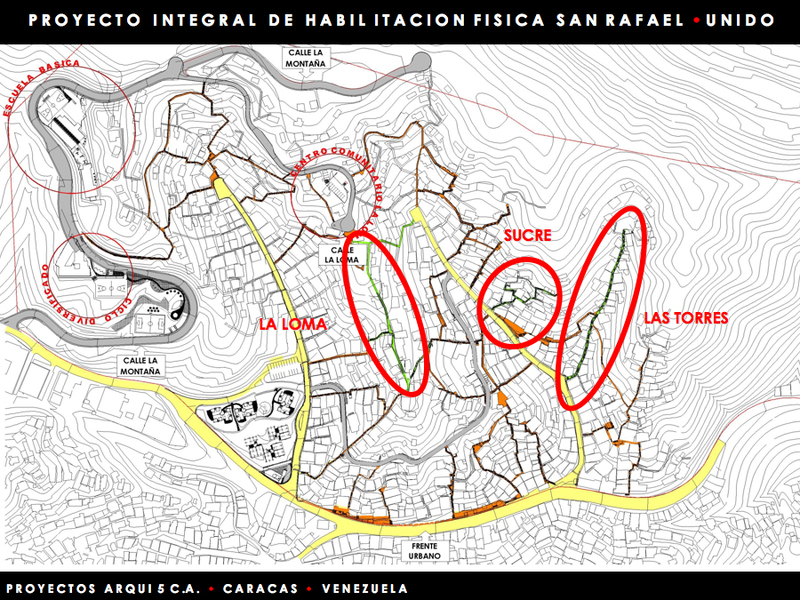 Although I was able to visit La Vega during my stay in Caracas, I did not get the opportunity to visit Arqui5’s intervention. Since I will not be able to visit again until the fall, I wanted to quickly showcase some images of their project in order to give you an idea of their design. For a quick description, the project is basically a network of stairs. 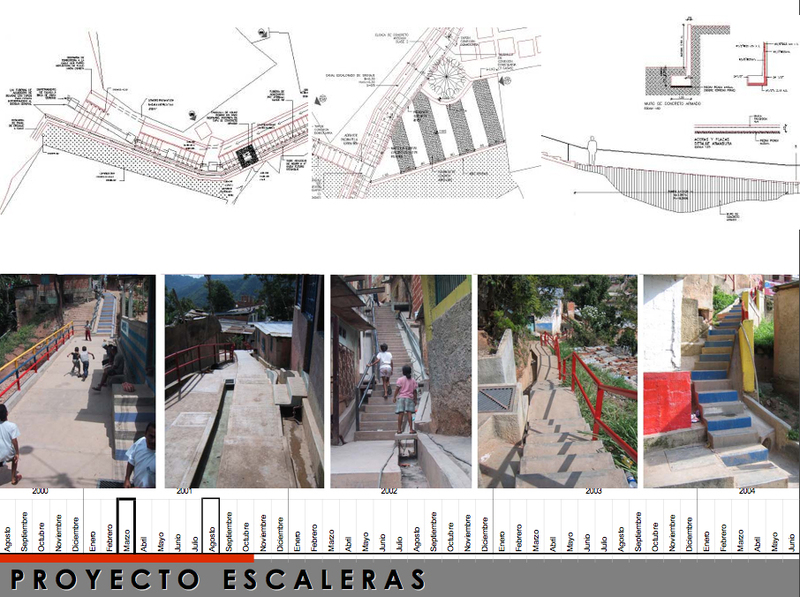 Nevertheless, the design of these stairs allow for much more than simply increase the accessibility in the steep slopes of La Vega. They also encompass, wherever possible, small public and gathering spaces as well as basic services systems (drainage, gas, water, sewer and electricity lines in addition to water reserve tanks located at higher points). In addition, the project projected more public equipments and buildings such as schools, community centers and sports facilities. Unfortunately, my impression is that, none of these, except for the first floor of a community center, were actually built.